This easy recycling or rather upcycling craft and art project for kids really takes only 5 fin to make. 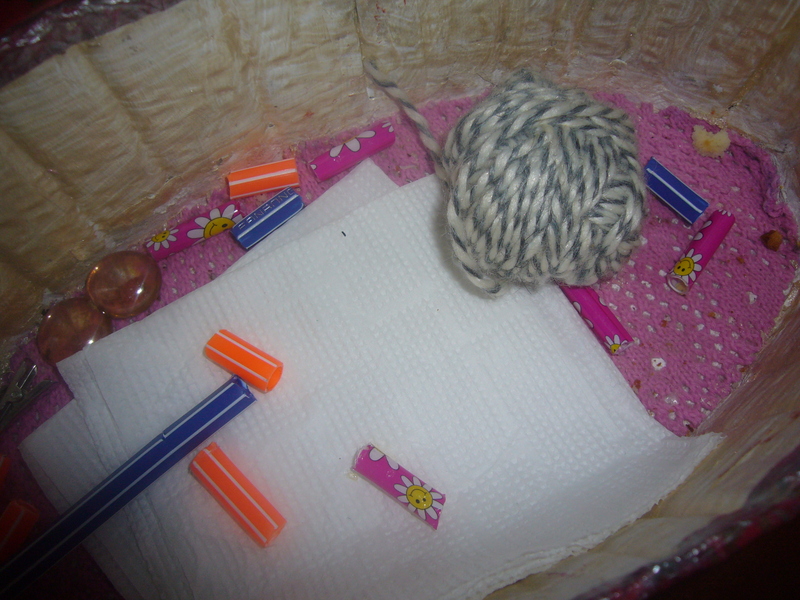 All you need is a piece of string or yarn and old felt pens. You need to pick soft body pens for this bead project. You just cut the coloring pens in pieces of any size you like. 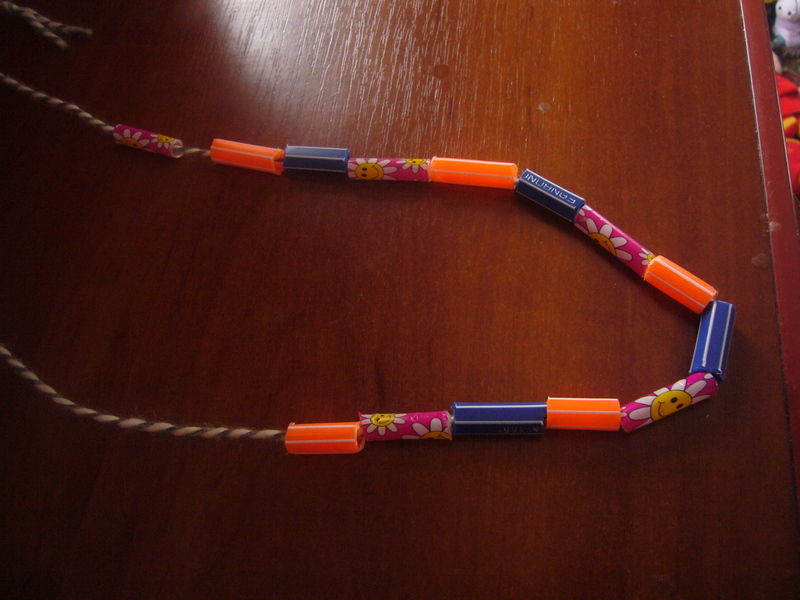 It’s better to use the felt pens of different colors for your recycled jewelry for kids. Then you put them on a string. Done. It’s a very easy, but fun craft and art project for kids. 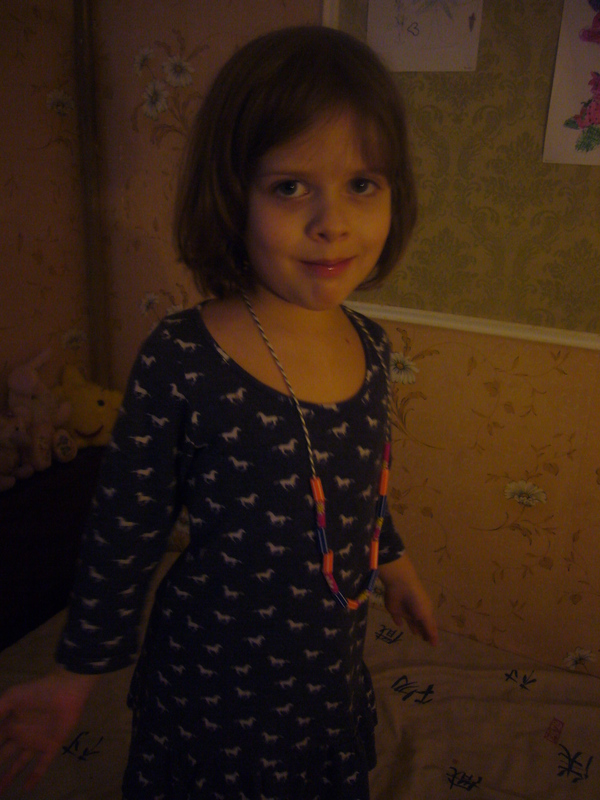 Both of my daughters love wearing this recycled jewelry made out of coloring pens. This entry was posted in Uncategorized and tagged 5 min crafts for kids, busy moms, craft and art project, crafts, creative tips, creativity, DIY, fun crafts for kids, recycling, recycling coloring pens, tips for moms, upcycling, upcycling coloring pens, yarn. Bookmark the permalink.